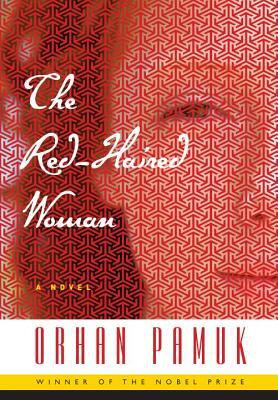 "An extraordinary piece of writing...The Red-Haired Woman is a book that pores over father-son relationships with almost painful intensity...[it] has a lapidary, fable-like feel to it, closer in spirit to earlier novels such as Snow and The Silent House...The twist in the tail makes the reader feel as if they’ve emerged from the depths of a well into sudden and dazzling light." "Engaging and deftly told...Pamuk's postmodern puzzles are meticulous as ever, and The Red-Haired Woman contains a wealth of atmospheric detail and memorable scenes." "Pamuk skillfully intermingles textual traditions and historical time periods, establishing the trademark intertextuality and intertemporality of his fiction...The Red-Haired Woman, though it engages father-and-son conflict, is, importantly, a woman’s story...On one hand, [it] is a novel that celebrates characters who are Oedipalized into the modern neoliberal order. On the other hand, while that celebration exposes familial violence, it conceals a concomitant history of state violence that maintains the patriarchal order. The success of this novel, subtly staged, is that it allows us to consider how these ideologies might coexist." "Pamuk writes with the lean, archaic simplicity of parable, gradually adding moral weight to his tale with each successive chapter...The Red-Haired Woman is a novel of uncommon moral power. It blends myth and life, fatalism and freedom, into a harrowing literary experience. It's the work of a master writer."